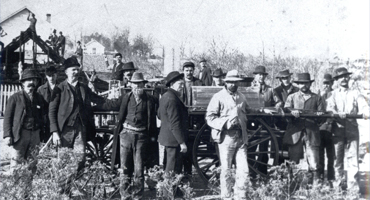 It is the mission of the Ste Genevieve Fire Department to preserve life and property, promote public safety and fire prevention through leadership, management and actions, as an all risk life safety response provider. It is the department’s endeavor to deliver the highest level of service to our residents with the utmost professionalism. We have about 30 active members who respond from home, work, or wherever they may be. Each of our members is at a minimum required to attend monthly department training’s and meet a department standard of training. Ste Gen FD is looking for people who are interested in becoming volunteer members. For a member’s time and commitment we provide equipment and training in a motivating real world environment in order for you to gain an understanding, competence and receive certifications in firefighting. We accept applications throughout the year and bring new members at various times. 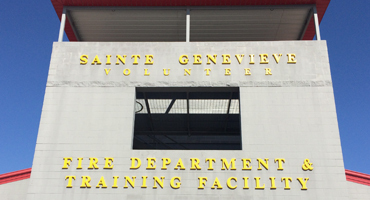 Did you know that the Ste Genevieve Fire Department participates in the Knox Box Program? With one master key our fire department can gain access to commercial properties. More than 11,500 Fire Departments in North America use Knox® products. The Knox System includes UL listed lock boxes and storage cabinets. SGFD uses the KeySecure®, master key security system, to control the Knox Master Key. These Master Key Retention units provide accountability with an audit trail giving the date, time and user ID for each key release. Property owners in our community store entrance keys, access cards and floor plans in high-security Knox-Box® key boxes mounted near their building entrances. Each Knox-Box purchased by the property owner is keyed to a single master key controlled by your department. With the Knox System, there is no waiting for a property owner to unlock the door in the middle of the night, and no forcing the door open to gain entry. The Knox Rapid Entry System reduces response time, property damage and the liability for lost keys. “Save your business from costly lock repairs"
SGFD had a great time visiting and talking about fire safety with the kids at the Head Start program today! We look forward to visiting next time! 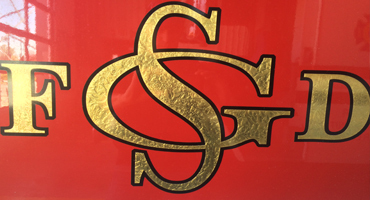 SGFD members have been keeping busy! Over the weekend SGFD and local department firefighters trained in the LETS SURVIVE class by LETS training solutions and hosted at SGFD. For monthly training this Monday SGFD members continued to train on the new ladder truck! Sign up for our FD newsletter below.